I remember when I first bought the Wall back in January of 2003. I was not prepared at the time for what the album contained. I listened to it endlessly for days at a time, truly convinced that this was the perfect album. I hailed it as a masterpiece for 3 years. Now, in retrospect, I look back at The Wall fondly. But at the same time I am disappointed a bit by it. Roger Waters had now taken full creative control of Pink Floyd, and the results is a mixed album of strong ideas and weak ideas all amalgamated into a mammoth concept album about the mental decomposition of a disillusioned rock star who has been, throughout his life, tormented and has had his soul tortured. The story behind this album, dark and dreary as it may be, also is a bit uplifting, teaching us values of not letting ourselves be put behind mental barriers and to try and communicate with those outside of ourselves. But for the most part, you'll feel really down by this album, because it's not a very positive one. The album opens with In the Flesh?, which is in my opinion one of the strongest on the album. A strong guitar riff and some nice hammond work are highlights, and Roger Waters lyrics are great to say the least. It segues into The Thin Ice, which is a pretty useless piece in my opinion, despite a nice guitar solo from Gilmour, it doesn't really have any context with the story. After The Thin Ice comes the first of the three part Another Brick in the Wall. The modulated guitars (phased and delayed) surely inspired some later works from Steve Rothery of Marillion, but to get back on track, the riffs and guitar themes in this song are okay at best. I wouldn't really consider them to be terribly strong. The Happiest Days of Our Lives/Another Brick in the Wall Part 2 will go down in history as the most overrated songs in my opinion. Nothing but a steady dance beat from Mason and some lyrics pertaining to the youth's dislike to the education system. Even Gilmour's solo can't save this piece, which in my opinion, is totally overblown. Goodbye Blue Sky makes up for that though, with some haunting acoustic work augmented with droning layers of synthesizers to give it a more frantic feel. The lyrics in this song are also among the strongest on the album. The harmonies that Gilmour and Waters create are great as well. Empty Spaces/Young Lust are another segue couplet, with a particularly uninteresting guitar theme for Empty Spaces and a moderately strong theme for Young Lust. The guitar solo in Young Lust is also among the best on the album. One of My Turns follows, and it takes a more keyboard oriented approach this time around... that is in the first minute though. After the first minute, the piece explodes into a frantic piece of muddy chords and passionate screaming from Waters. Don't Leave Me Now follows, and it is among my favorites on the album. Dissonant organ drones and delayed guitar rhythms conquer this song, but towards the end the whole band enters and gives the piece a formal ending. Another Brick in the Wall Part III/Goodbye Cruel World ends the first half of the album, in a similar fashion, nothing particularly interesting again. While the first half was filled with uninteresting pieces, the second disc takes a turn for the better. Hey You opens it, Gilmour doing a great job on fretless bass on this one. The solo on this track is also among the best on the album. In There Anybody Out There? is next, this acoustic lead piece is another beautiful display of Gilmour's ability on guitar. The depressing chordal progression really suits the feel of the album nicely. Nobody Home follows, and it is a piano based song where Roger gets really personal. It's among my favorites on the album as well. Vera/Bring the Boys Back Home follows, and that's where the album takes a turn for the worse (again). Shortly thereafter, though, the best song on the album is played. Comfortably Numb is one of the best Pink Floyd tunes out there, mainly because of the overly impressive and emotional guitar solos from David Gilmour, these solos are often hailed as his best solos on guitar ever, and I can see what they mean. The Show Must Go On is a song that features some great harmony vocals and some great vocals from Gilmour. In the Flesh is a reworking of the opening song of the album, with Pink's fears being fully realized. Expect essentially the same as the first one. Run Like Hell features more echoey and delayed guitar tones as well as a strong main theme compliments of Gilmour. Wright's synthesizer solo is also very strong. 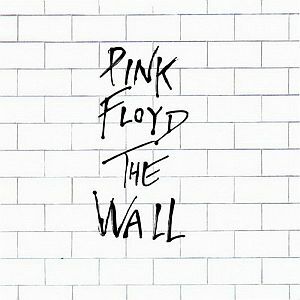 Waiting for the Worms/Stop/The Trial/Outside the Wall end the album. The best of these songs being the Trial, which features a great orchestral score (compliments of Bob Ezrin and conducted by Michael Kamen). In the end, the album ends with the same theme that began the album, and thus one of the biggest selling albums ever concludes. Overall, I like about half of the album and I dislike about half. There certainly is a nostalgic value of this album for me, but I feel left cold and unimpressed after I listen to it. It's not a bad album at all, it's just been wrought by people hyping it too much, therefore in my opinion it is a bit overrated. Pink Floyd fans and Classic Rock fans will enjoy this album. 3/5.